It's the final hours of 2009 on the West Coast, and I've already been celebrating with friends in other time zones across the country. Happy New Year, everyone! I can't remember a single year in which I made resolutions and remembered them long enough to keep them. This year will be different - I'm all about practicality and little steps, because those are the building blocks to success. And I'm also throwing out any mention of exercise because I am a terrible person who likes to sit. All day. Unmoving. This doesn't mean I won't exercise at all ... I'll be sure to hit up the Estrogym with a good book. Terribly simple plan, isn't it? BUT IT'S SO HARD TO FOLLOW. Sometimes I simply don't want to look at another problem again in my life, but alas, that is unavoidable. So, to shoot for a better grade than fall semester and to conquer the Vlad, I will assign myself daily sections and do all the end of chapter problems. If you WashU kids don't already know, my fashion sense can be best described as "bumtastic." I sport my nerdy dark framed glasses (they do slide off the bridge of my nose too), wear my trusty WashU sweats (perfectly tattered at the bottom due to my short little legs), and pile on the cardigans and sweatshirts. Let's all be honest here - that's not attractive. I also feel incredibly sluggish in that attire, so it's time to start dressing to impress. Better self-esteem, more attentiveness, and looking less like a hobo, here I come! Under stress, people tend to lash out every once in a while. I did a lot of that this semester because it was easy to vent and throw hissy fits when things weren't going my way, when I was not sleeping well and propping up my baggy eyes with cup after cup of coffee. My friends don't deserve that kind of treatment when they've been nothing but wonderful to me. Stress is an inevitable thing, but that doesn't mean I can keep snapping at people who care about me because I woke up on the wrong side of bed (or too early). Here's the deal. I'm actually going to be living inside the library or NSLC religiously on weekdays. I work enough to get "good" grades, but they can be way better and I could be learning much more efficiently. So why not turn this into a GOOD habit that's hard to break? On the weekends, there will be time for partying (it's been absolutely forever), reading for pleasure, watching movies, enjoying life. Working diligently M-F is better than cramming everything and playing catch-up on those well-deserved weekends. Meanwhile, I will try to eat less half and half's (or is it .. half and halves?) and run/bike while memorizing those mechanisms, and perhaps master the art of wearing ridiculous high heels for 5 hours at a time. 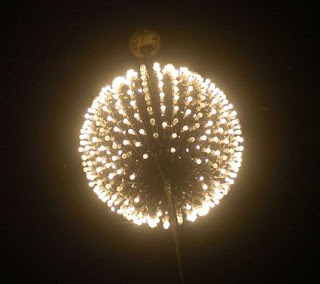 Enjoy 2010, friends! Make the most out of all 365.25 days!